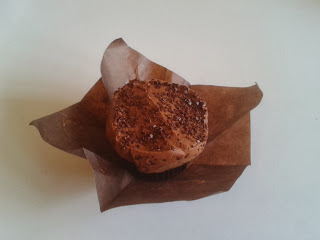 This afternoon, while downtown, I thought I would use a coupon for a free cup of coffee with the purchase of a cupcake at The Cupcake Lounge (6 Byward Market Square, Ottawa). I walked down to the small store next to Zak's Diner but just short of Clarence Street on Byward Market Square and entered. Inside is a small storefront with two tables in the window for consuming your favourite beverage and your cupcake of choice. Behind the counter is where the magic happens where two employees make the cupcakes by hand and sell them there. From their website they sell both individually to walk in customers like myself to big corporate functions and weddings. I waited for a lady in front of me to finish ordering. Sure there were two employees, but one was putting the finishing touches on the icing of another chocolate cupcake while the first was cashing out the customer in front. No problem there as there was not that many customers in line. Less than a minute and I was next. I walked up and handed the coupon to the lady behind the counter and ordered. The Order: 1 Chocolate Chocolate Cupcake and 1 Small Swiss Brewed Coffee. Waited two minutes while the employee first got the coffee brewing in the espresso type machine. 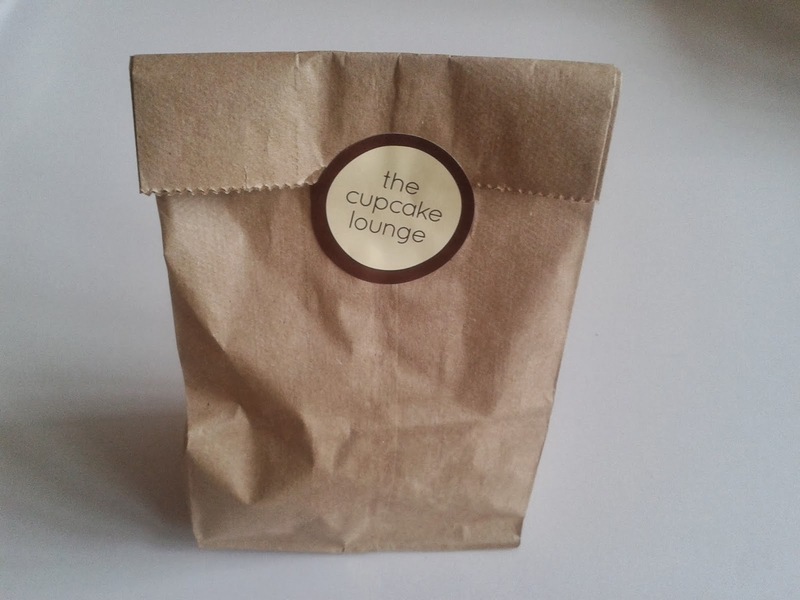 She then grabbed a pair of tongs, took a cupcake from the front display, deposited into a paper bag and labelled it. The coffee was brought forward from the espresso like machine and handed to me along with the cupcake. I sipped the coffee as I made my way through the Byward Market on my way. 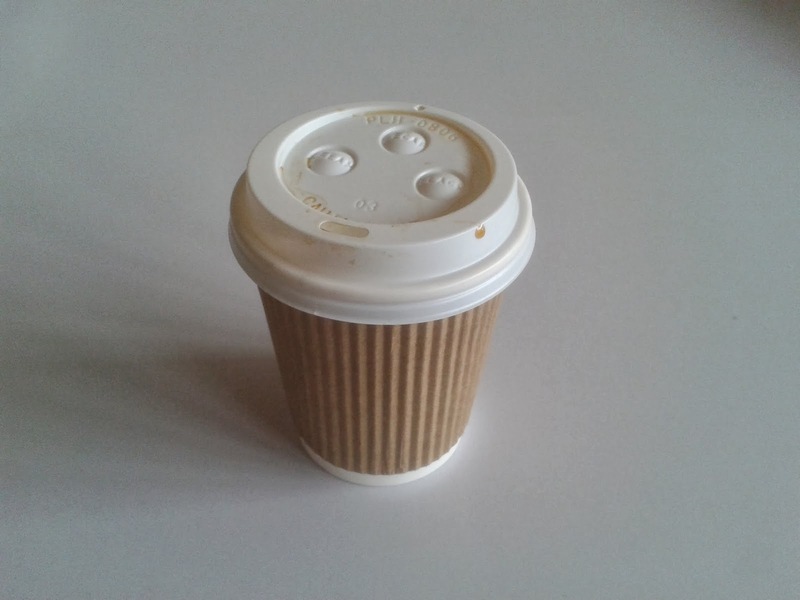 The Coffee kind of plain really and nothing special. Not sure why it was "Swiss brewed" as it tasted like any other coffee I could obtain at an independent coffee shop. Size wise, it was the same as a Tim Hortons small. The Chocolate Chocolate Cupcake was interesting. After unwrapping it and taking a bite it was interesting. Sure the icing was delicious but not as good as the one I had at the Nutty Greek Bake Shop. The chocolate was not rich creamy tasting like I expected, but a little sugary tasting. Interesting gourmet take on the frosting but not the best I have ever had. The chocolate cake bottom was not any better than a home made one. In fact the chocolate bottom was a little drier and tasted like it had been in store for a little bit. Overall, the Cupcake Lounge needs some assistance. Using the word "lounge" in the name is a misnomer. The words "Cupcake" and "Lounge" together makes me think of a dessert place with comfy chairs accompanied by delicious cupcakes with gourmet tea or coffee. Instead at the real Cupcake Lounge is a small storefront with two cafe style chaired tables in the front of the window with Cupcakes priced at $3.45 (including taxes) and mediocre coffee claimed to be "Swiss Brewed". For probably $5.00 for the coffee and Cupcake I could easily go elsewhere.